Poverty is one of the meanest menaces in human society. It is responsible for myriads of social evils and disturbances. It is a quagmire that not only grasps the society from its legs but also clasps an individual from his throat. A recent study by the Central Statistics Organization shows that more than 18 million Afghans which makes 51.7 percent of the overall population are faced with multidimensional poverty. The Afghanistan Multidimensional Poverty Index (A-MPI) which was jointly conducted by the Oxford University covers the scale of poverty in various areas such as education, health, security, employment and living standards of Afghans. Based on the study, 32 percent of six-member families had only one working person. The study shows that 48 percent of families have no educated woman. 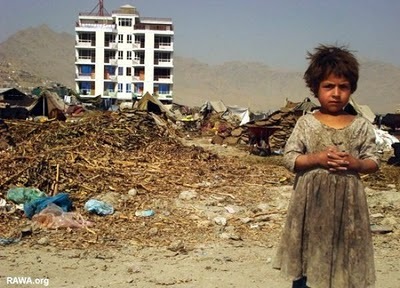 The level of multidimensional poverty, according to the study, ranges from a low of 12 percent in Kabul to a high of 81 percent in Badghis province in the west of Afghanistan According to the study, the level of multidimensional poverty among the urban population was recorded around 18.1 percent, 61.1 among villagers and 89 percent among the Kochi (Nomads). The study shows that 58 percent of all multidimensional poor people in Afghanistan are children under the age of 18 years old. At least six out of 10 children live in multidimensional poverty, and children under the age of 10 years old are the worst affected by poverty, the study shows. Overall, poverty has caused many disastrous consequences such as spread of armed violence, huge increase in addiction, domestic migration, increasing the population of cities, brain drains and the vacancy of the countryside. More importantly, poverty and unemployment fuels war in the country as the terrorist groups can easily hire unemployed teens to use as suicide attackers, battle forces, or laborers for implanting Improvised Explosive Devices (IED) and in some provinces unemployment has also led people to grow opium, poppy, and others are encouraged to join the extremist groups. Although Afghanistan is a country with rich and different natural resources, but still stuffers heavily from poverty due to lack of utilizing its resources. Meanwhile damaging infrastructures, forced migration, increasing unemployment and inflations as well as insecurity are among the main consequences of conflict in a region, country and society. As a result, decades of war have destroyed economic and political institutions in the country. Afghan Government has already taken steps to address unemployment and other challenges leading to poverty in the country. Many factories established and the ground was paved for private sector investments in the country, but there are still more works needed to address the menace of poverty in the country. Tee government and its partners can take specific measures to reduce poverty by focusing on different policies including tackling corruption, addressing the root causes of violent conflicts, developing sustainable economic infrastructures and improving access to comprehensive education. The debates on peace process and other political issues have long been going on but they have persuaded no convenient achievements, instead worsen the situation. Now is the time that to government and the international community pay little more attention on fighting the poverty. Al those responsible for protecting the life of people, should take initiative for saving the lives of Afghan children women and families who live in grave hunger.